I was reading an article recently about Nick Lowe. Nick is “one of those guys” in the music business that everyone knows and respects. Some of the general public knows his stuff, but basically, he lives in obscurity; kind of like NRBQ. He wrote the Elvis Costello song; “What’s So Funny Bout Peace, Love, and Understanding,” as well as his own “I knew The Bride When She Used To Rock And Roll,” and the song “And So It Goes,” which just happened to appear in the legendary music movie “Rock and Roll High School” featuring the Ramones. 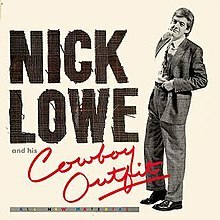 In the article, it mentions that in 2008, Nick released an album in the UK called “Jesus Of Cool.” Oddly, the near identical album was released in the United States and was titled “Pure Pop For Now People.” I don’t think I really have to point out the difference; It’s Jesus; or at least the name Jesus. I think if the record company tried to release this album in America, there would be riots. There is an idea in America and some other English-speaking cultures that there is only one Jesus, and to rename any of your children Jesus would be highly sacrilegious. How do I know this is an American thing? Because people of the Christian Faith around the world often name their children Jesus or some derivative of Jesus. In Central and South America Jesus; almost pronounced “Hey-Zeus” is a very common name. In Italy, “home” of the Christian Faith, the last name De Jesus (of Jesus) is popular there and found in Italian heritage here in the United States. Nick Lowe and NRBQ in the first paragraph – I knew this would be a good post! And it is.